I was able to attend the 2007 Centennial World Scout Jamboree as a member of the volunteer International Service Team. I didn’t know what I would be doing, only that it would be in one of the program areas. In a field at the end of the jamboree site was a sort of midway where lots of different national organizations had one or more activity tents. Each was staffed by several volunteers from that country, and at least a few from other countries. I was given a spot working for Sweden. We had a PE teacher from Portugal, a college student from Finland, several Swedes, and me. Once the participants started arriving, we had several things for them to do. 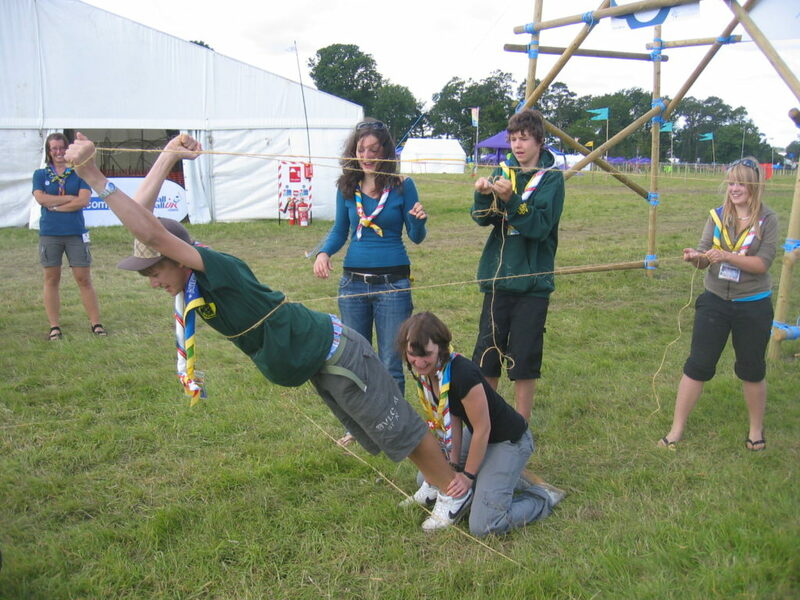 I was mainly facilitating some team-building games, similar to low-COPE activities familiar to Boy Scouts in the US. In one of them, a patrol had to get everyone out of a square by going over a some strings tied about three feet high. 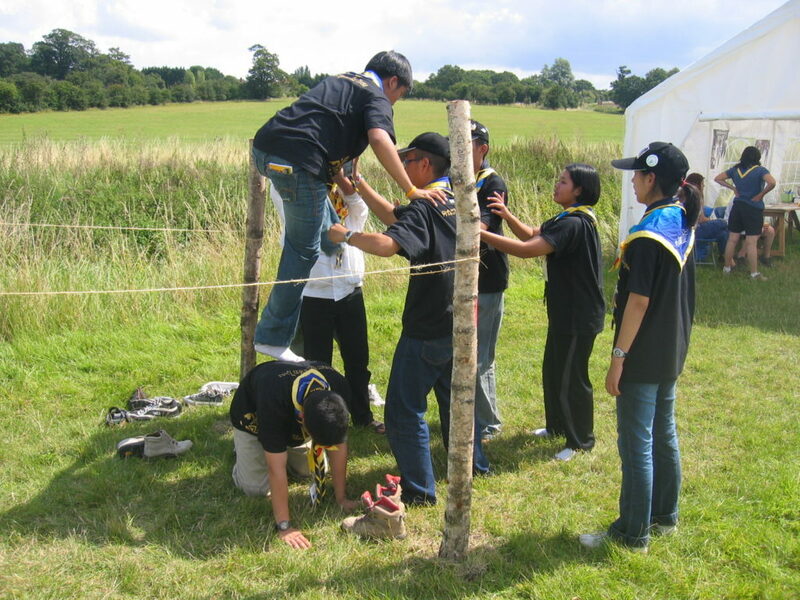 Thai Scouts participate in low ropes. In another game, they had to rescue an item from the middle of a “pit of lava” using very limited supplies. Some Swiss scouts took a risky approach here. 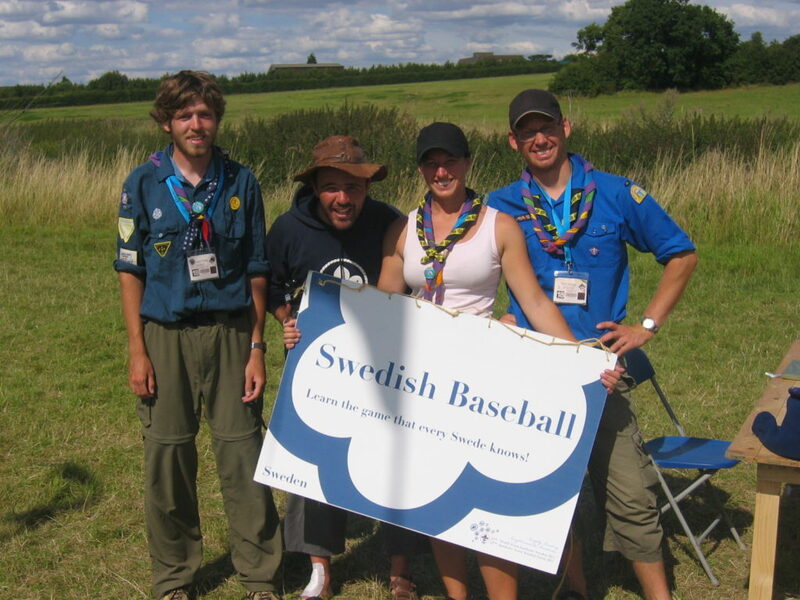 and the last game was Swedish Baseball, also called Brumball. 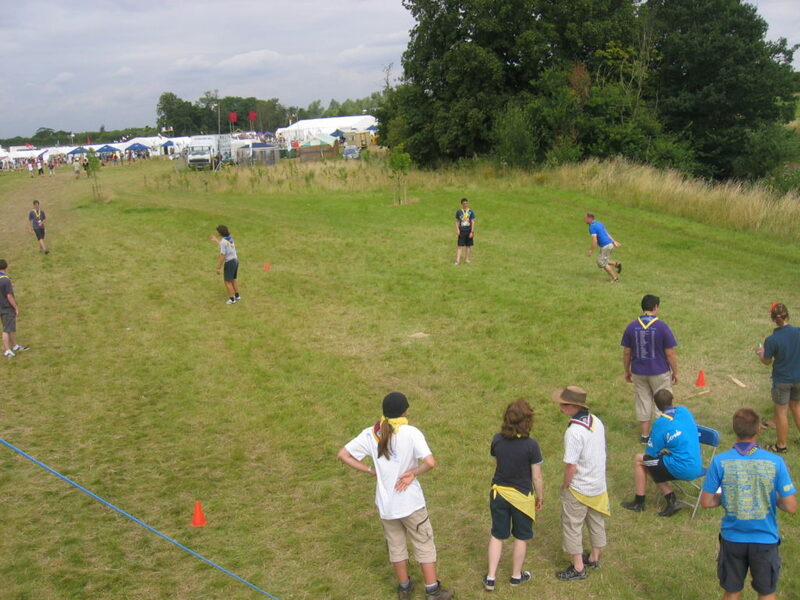 The official languages of the Jamboree are English and French, and almost everyone spoke English. But a group from Tahiti showed up one afternoon who all spoke only French. We quickly realized I was the only one on our team who spoke any French at all, even though I hadn’t done so in several years. I found myself standing in a field in England, trying to explain rules to Swedish scouting games, in French, to scouts from Tahiti. And I realized there are very few organizations that would present that kind of opportunity to a 21-year-old. It really is a worldwide movement. I would strongly encourage anyone from Atlanta who is able to try and attend the 2019 World Jamboree that will be hosted at the Summit. There’s nothing quite like it. Michael Kelly joined Scouting as a Tiger Cub and has been involved for the past 23 years. He received the Eagle Scout Rank from Troop 232, where he also served as an Assistant Scoutmaster. 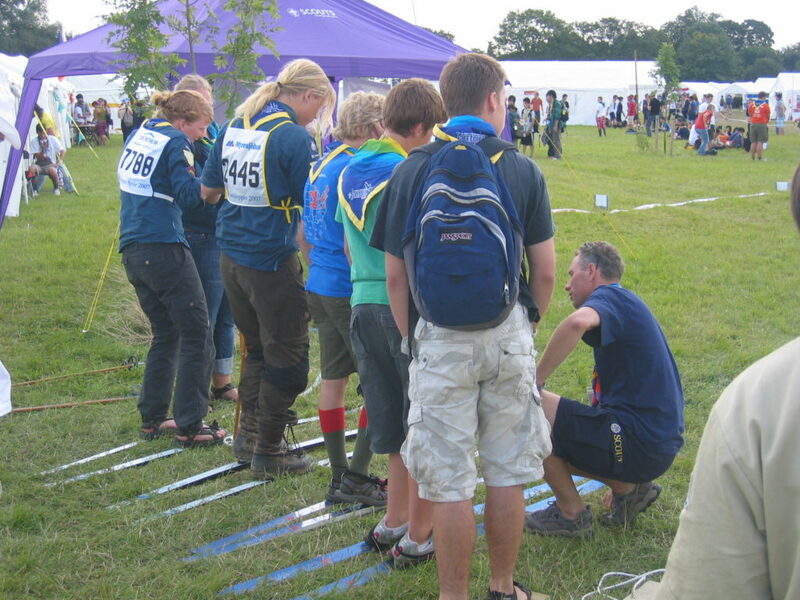 If you are interested in volunteering at the World Jamboree in 2019, find more information here. Tagged World Jamboree. Bookmark the permalink.